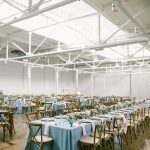 The Madison is Cleveland’s newest event space. Perfect as a wedding venue, banquet hall, meeting space, reception rental, video shoot location, or any other party or gathering you can think of. From weddings and receptions, to V.I.P. parties, to the Cleveland Flea, The Madison is the place to be.